Hot hibiscus beverages are one of those things I can’t accept. Hibiscus has a sharp tart flavor which is wonderful cold, but warm, it feels like a molten acid wash exposing a fresh layer to my insides. 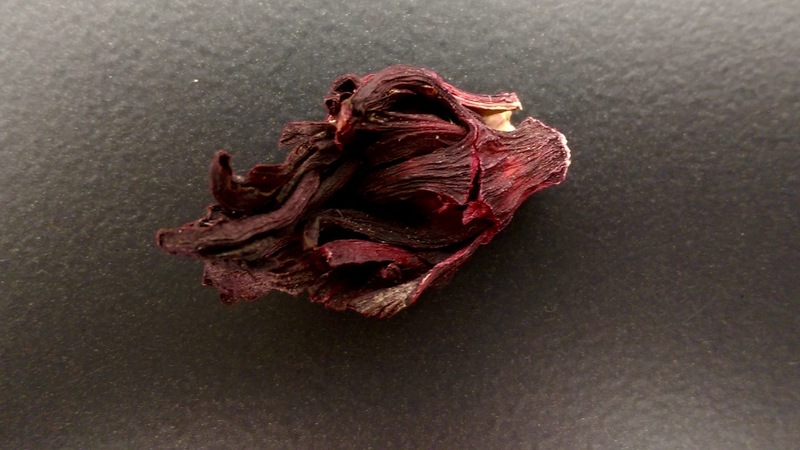 I exaggerate, as usual, but this weightless flower contains a strong tart flavor. Only a small amount is needed to properly flavor a large batch of agua de jamaica, fortunate as this is an expensive ingredient, usually selling for $8 a pound or more. Look for hibiscus which is bright in color and dry but still pliable. Even with its considerable tartness, my preference for agua de jamaica is for it to be just barely sweet. 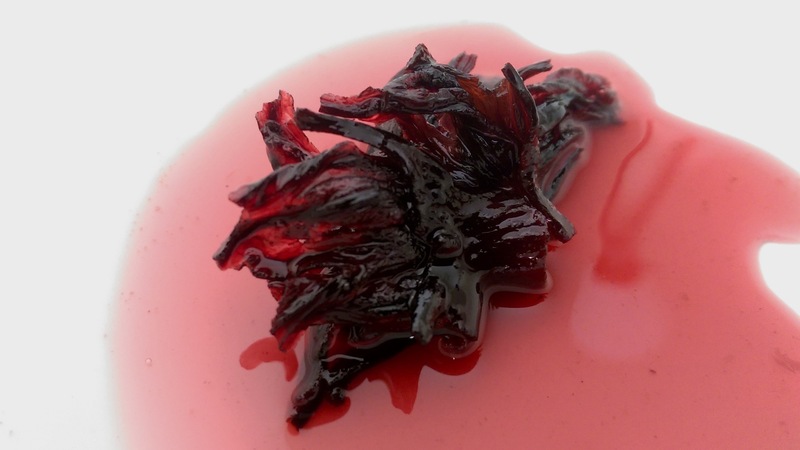 There’s no reason to throw away the hibiscus after steeping, not when the flowers could easily be used to flavor simple syrup, the kind hipster mixologists have been putting into pricey cocktails. I just made your cocktails cooler. Flor de jamaica. Hibiscus flower. Rinse the flowers under running cold water. Squeeze out any remaining water. Bring one quart water and hibiscus flowers to a boil. Reduce to a simmer and cook for 10 minutes. Remove from heat, and allow to infuse at room temperature for at least an hour. Strain, pressing down with the back of a spoon to extract any liquid from the flowers. Add the sugar, stirring until completely dissolved. Add the remaining quart of water and refrigerate. Consume within three days. Hibiscus flowers in simple syrup. Bring all ingredients to a boil. Reduce to a simmer and continue to cook until a syrup thick enough to coat the back of a spoon forms, approximately 10 minutes. The hibiscus syrup will keep for a month, refrigerated.